The Reverend Barbara Putney Smith-Moran, S.O.Sc was ordained to the diaconate in 1989; and to priesthood in, 1990 with the Episcopal Church in the U.S.A.
She is a life-professed member of the Society of Ordained Scientists (a dispersed preaching order of the Anglican Church). Commission on Prophetic Ministries, Episcopal Diocese of Massachusetts, 1989 - 99; Co-chair, 1997 - 99. God and Science: Must We Choose, a curriculum for adult Christian education. Two invited chapters, Science and Western Christianity and The Bible and Sciences. The New England Center for Faith and Science Exchange. (Newton Centre, Mass. : B.T.I., 1995 ). 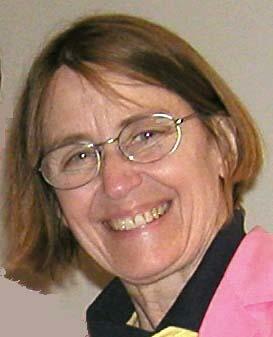 Soul at Work: Reflections on a Spirituality of Working, by Barbara Smith-Moran ( Winona, Wisc. : St. Marys Press, 1997 ). Living in Nature: Religion & Science in Dialogue on the Environment, a 30-min. educational video. Produced by Rodney Petersen, Barbara Smith-Moran, and Susan Youmans (Newton Centre, Mass. : B.T.I., 1996; distributed by Island Press, Washington, D.C.). F&SE Notices, volumes 1-10 ( 1989-99 ), a monthly newsletter for the science-and-religion field. Written/edited by Barbara Smith-Moran ( Newton Centre, Mass. : F&SE). Human Genetic Enhancement: Proceedings from an Open Forum on Christian Concerns and the State of Technology, ed. by Barbara Smith-Moran (Newton Centre, Mass. : B.T.I, 1998). Journal of Faith and Science Exchange, ( B.T.I., 1997- ), an annual publication. Ed. by Barbara Smith-Moran (Newton Centre, Mass. : B.T.I.). Consumption, Population & the Environment, ed. by Audrey R. Chapman, Rodney L. Petersen, and Barbara Smith-Moran ( Washington, D.C.: Island Press, 2000 ). The Evolutionary Past and Future of God, invited chapter in God for the 21st Century, ed. by Russell Stannard. ( Philadelphia: Templeton Foundation Press, 2000 ).